of course Tony and Clarence! you can find me on myspace or facebook. The above isn't spam, it's a hub I wrote since I'm an obsessive blogger; and I'm starting to delve into writing about flatpicking, guitars, and music. Stuart Mossman and Mossman Guitars. Sadly, I've never got to put my hands on one of these - I'd really like to give one a whirl for just a few minutes one day just to see, and say I did, of course. I know Mark O'Connor plays one, and Dan Crary, of course. Now everyone probably knows exactly who David Grisman is, he's only one of the finest mandolin players that acoustic jazz, bluegrass, etc - has ever known. In my mind David Grisman is right on par with someone like Ricky Skaggs, he's just more of a jazz and hippie sort than he is a traditionalist. I love them both, and besides their mandolin playing, both of those guys always have a band with one heck of a guitarist. Another extremely fine and well known flatpicker that has been on the cover of Flatpicking Guitar Magazine in the past is Russ Barenberg. I've personally been affected by that fella's fine and tasteful music in the past, as the single largest audience I ever played in front of ...was treated to Barenberg's "Keep It Up/Prince Charlie" from my own fingers. My Tribute to David Bromberg. 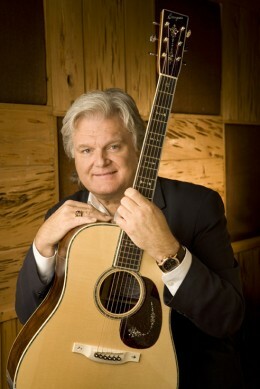 Ricky Skaggs, Guitars, Mandolins, Country and Bluegrass. Hi! I'm not sure if I know you, but you're a flatpicker and that's good people in my book!